The Dark Souls universe is something to be amazed at, a sprawling world with rich lore and interesting characters. Only matched by the level of thought and time it takes to truly make this game your own. 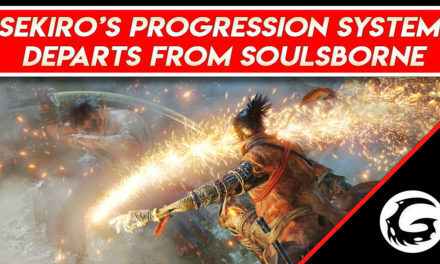 I’ve personally been a fan of the series for years and when the first game became backwards compatible for the Xbox One back in February of 2016, I knew this was the time to go back to the Age of Fire. 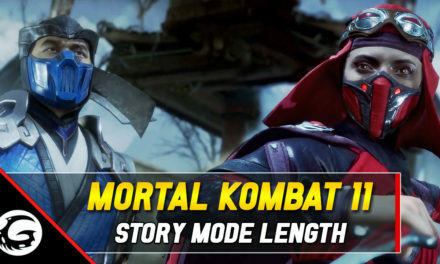 When playing this game again I found myself immersed more in the story, playing it once I mainly was just focused on gameplay. 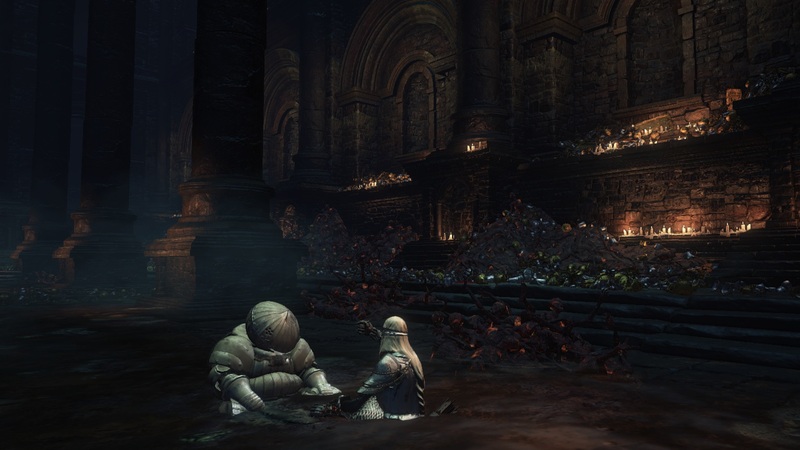 With time i’ve come to appreciate a good, fleshed out story and universe, something the Dark Souls series isn’t lacking in.The story behind most characters can be found tucked away in dialogue or item description. You’ll have to piece it together yourself to get a true definition of their character. Once you do you find that there is much more to them, much like Seigward of Catarina. My personal favorite character is Seigward of Catarina from Dark Souls 3 or better known by his community name, the onion knight. 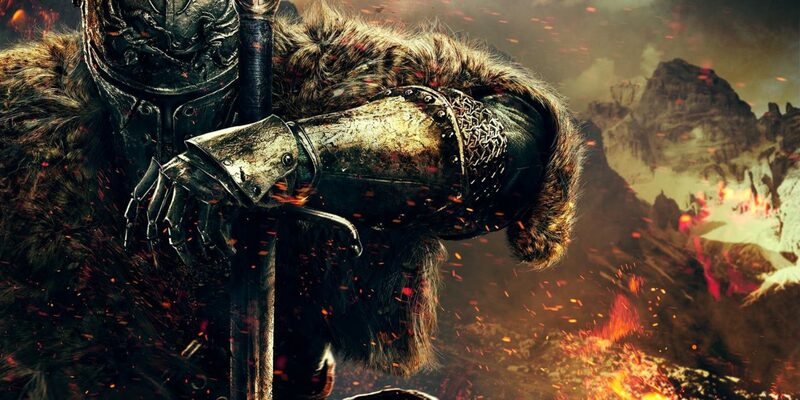 His charismatic nature and general happiness is a welcome feeling in the battle hardened world of Dark Souls. You first meet Seigward in the undead settlement as he’s coming up a lift. He’ll first be distracted in thought and tell you he’s in a bit of a pickle. He comments that there is a giant shooting massive arrows from the tower you’re currently in. Later on, he can be found resting, watching a fire demon pace in the distance. If you run towards the fire demon he will call out to you telling you that you should of waited. He then charges in after you to help you fight the demon. Afterwards he will sit down and give you a Siegbräu (his drink of choice) and then offer a toast. His jovial nature seems only natural as Catarina is known for it’s festivities and drinks. 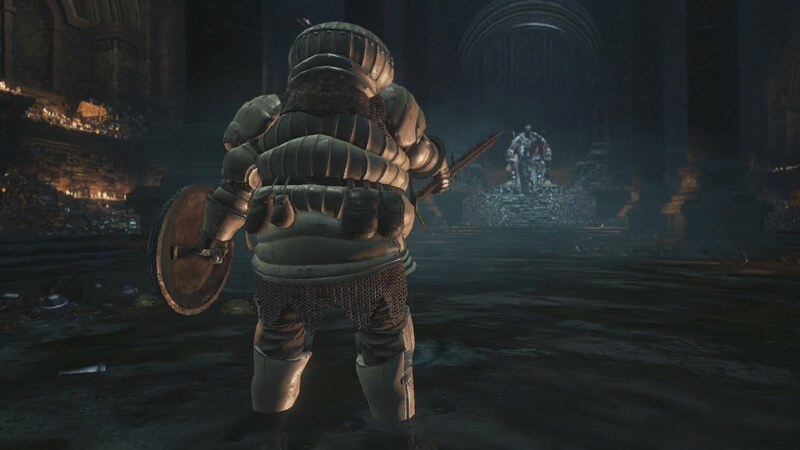 This identifies Siegward as the old friend of Yhorm the giant who was asked to kill him when he went mad. He trusted his old friend to fulfill his promise and put an end to his life. If Yhorm kills Seigward of Catarina he will express great sorrow and proclaim his failure to his old friend. After your battle he will thank you and say that you are a true friend. Having a final toast with you and then….he takes a nap. Seigward was a welcome sight in Dark Souls 3 and to this day he’s still my favorite souls character. It’s one thing when a game delivers good gameplay, but it’s another when that game leaves you with memories that you can look forward to coming back to later. Characters are often overshadowed when there are so many of them in a series, but i’m glad this one was able to stand out among the others. There may just be a npc that you will run past 100 times in a single playthrough of a game, but will you take the time to learn more about these characters that give a game it’s life? A lot of thought was put into to these characters and their life was manufactured by someone who wanted them to have an effect on you. There are many characters in many different games that deserve to have their story told and step into the spotlight. We here at Gaming Instincts want to bring their story to you, the reader. In the hopes that this will show you that there is much more to a character than just what they can offer you. So let’s explore the gaming universe in finding those characters that bring life to their games. Characters with rich history and memorable moments that leave us saying: this isn’t just a game, it’s an experience.